Bubo was of old age and had seen many things. Some of these things made him grumpy and forged wrinkles in his feathers. 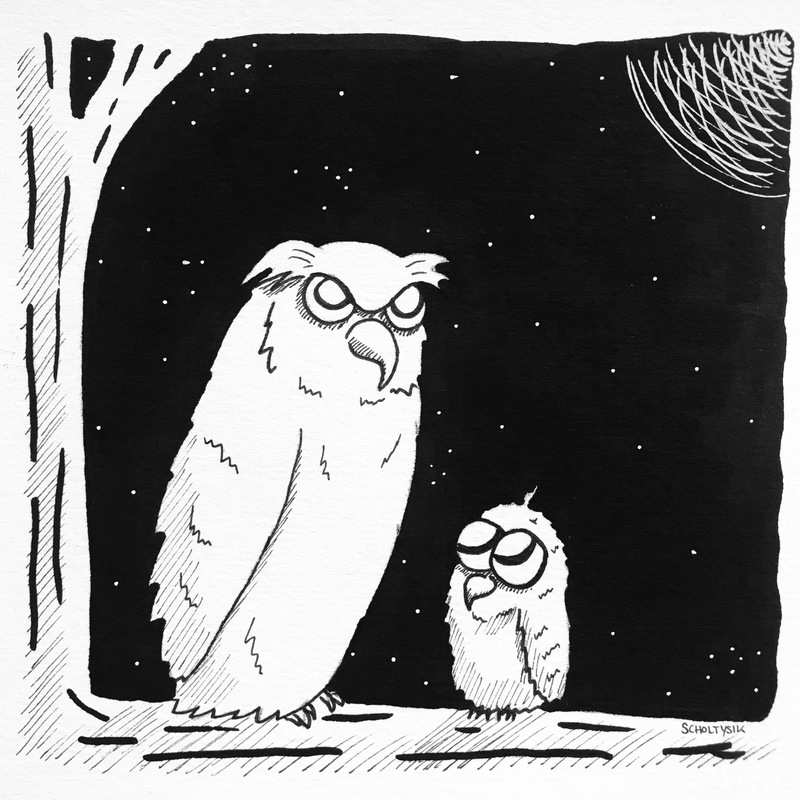 But he had a weak spot for the young owlets and so he spent many nights telling his newest protege, Cicuma, his famous stories.